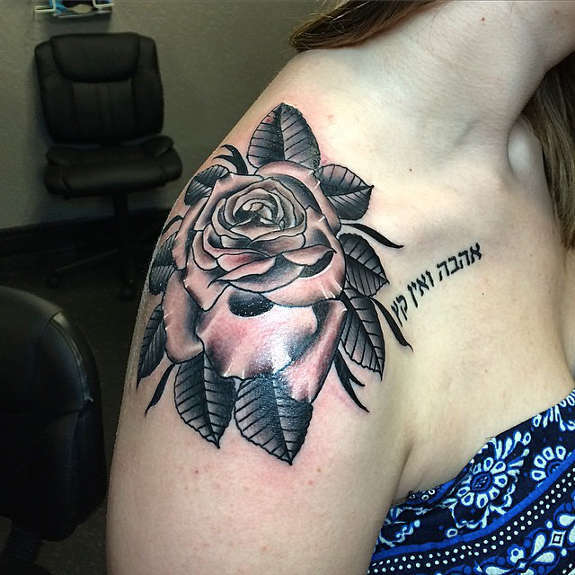 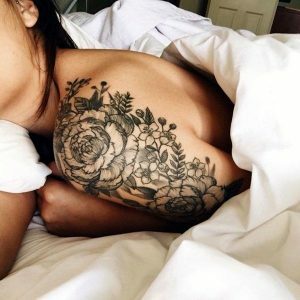 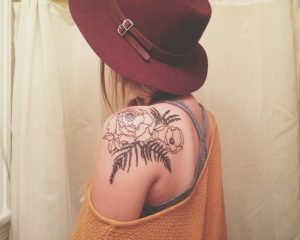 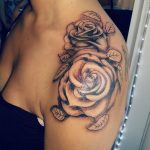 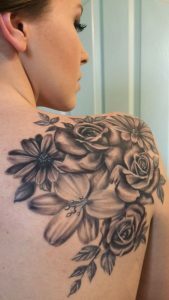 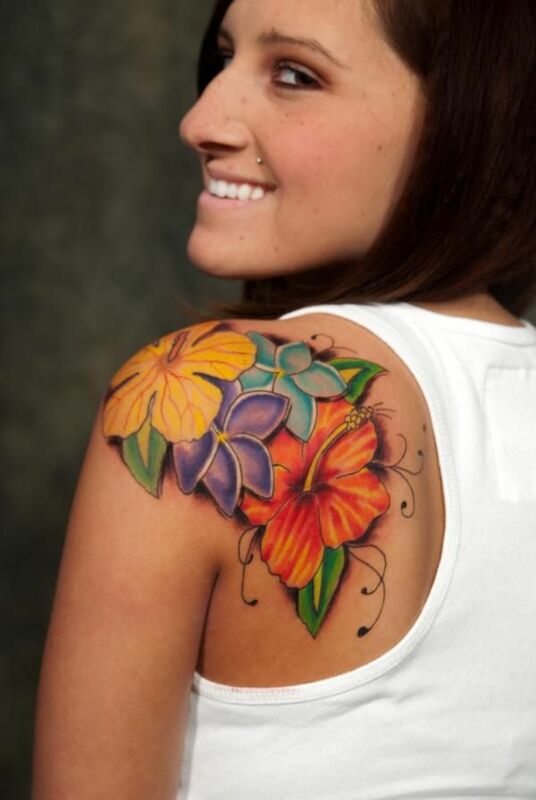 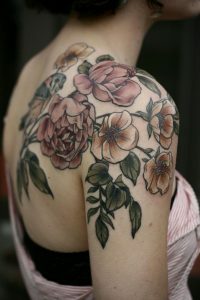 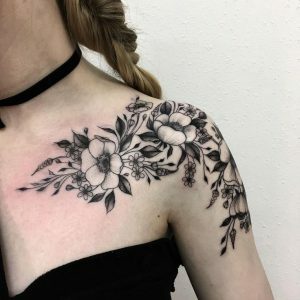 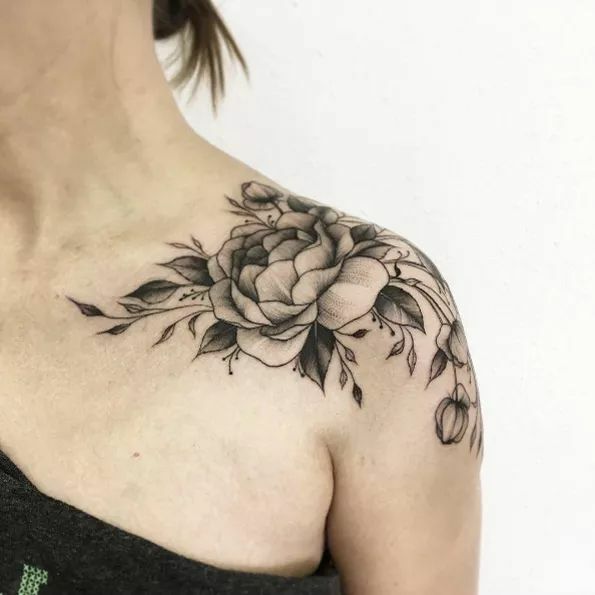 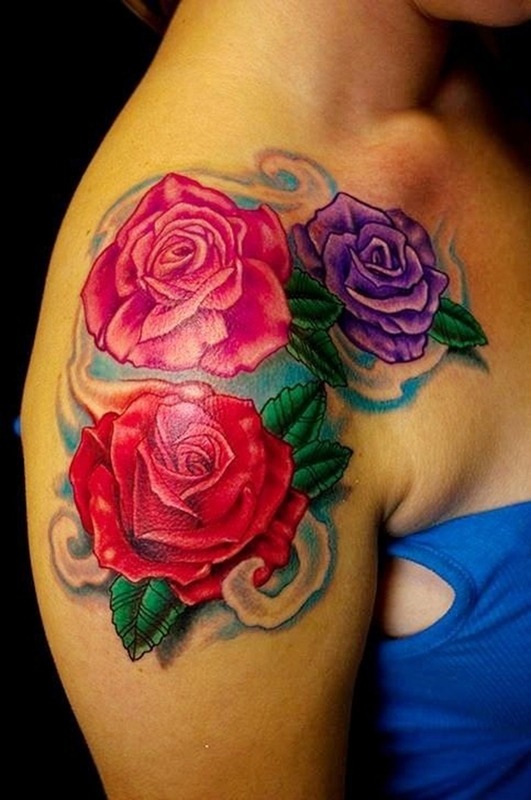 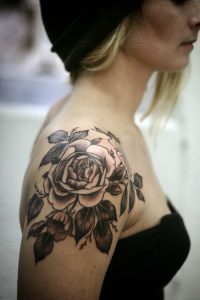 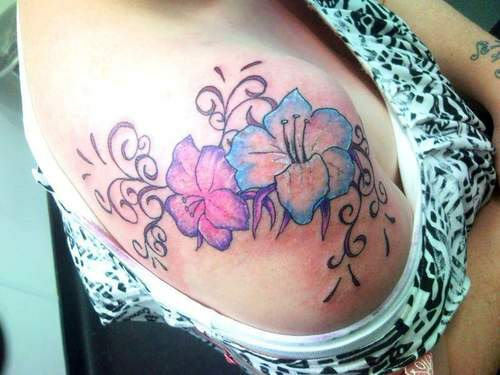 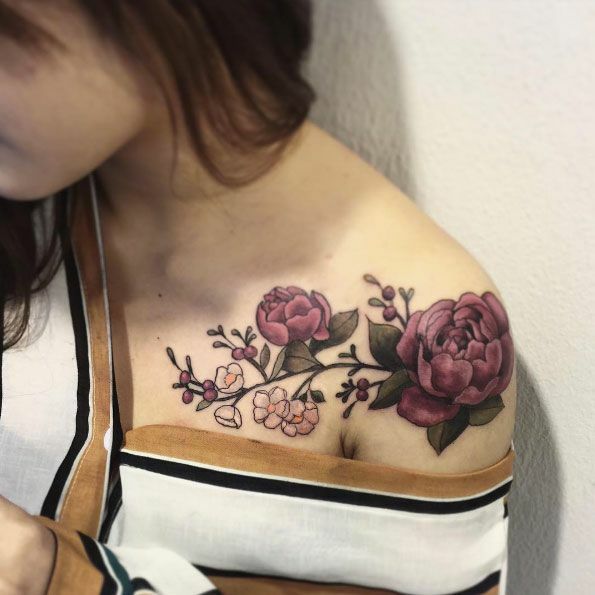 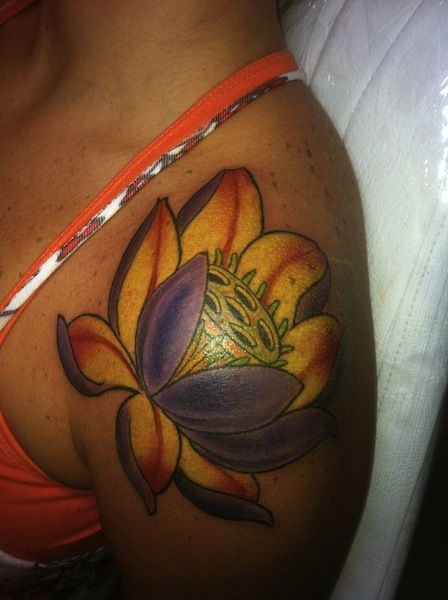 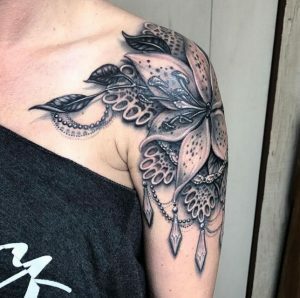 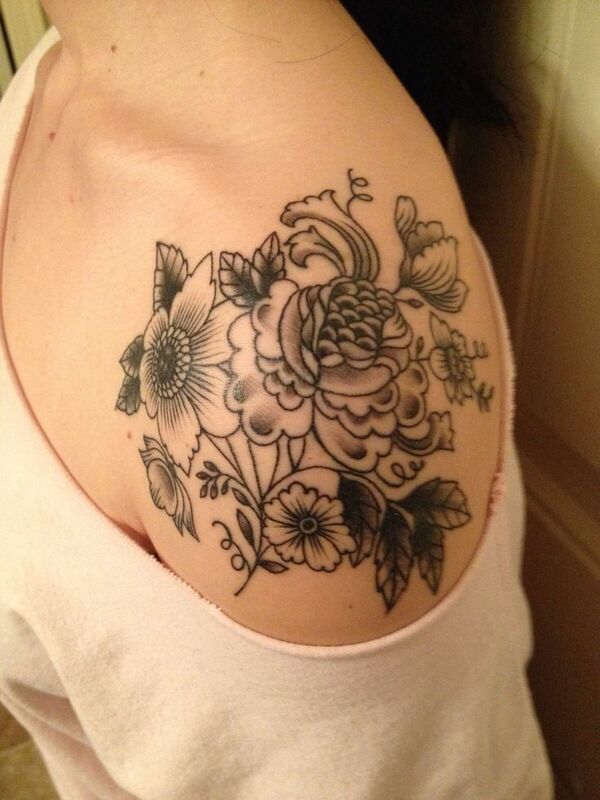 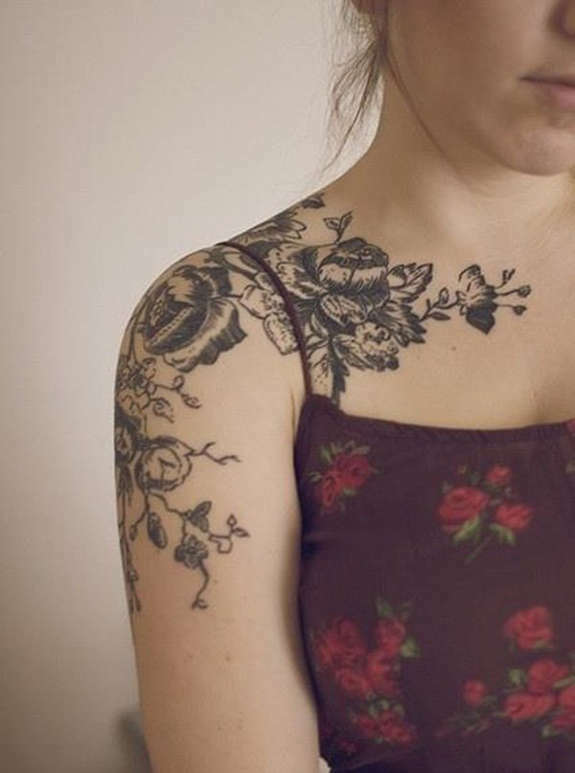 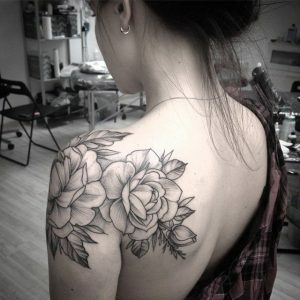 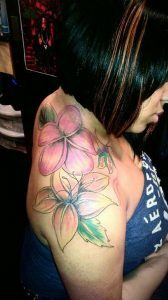 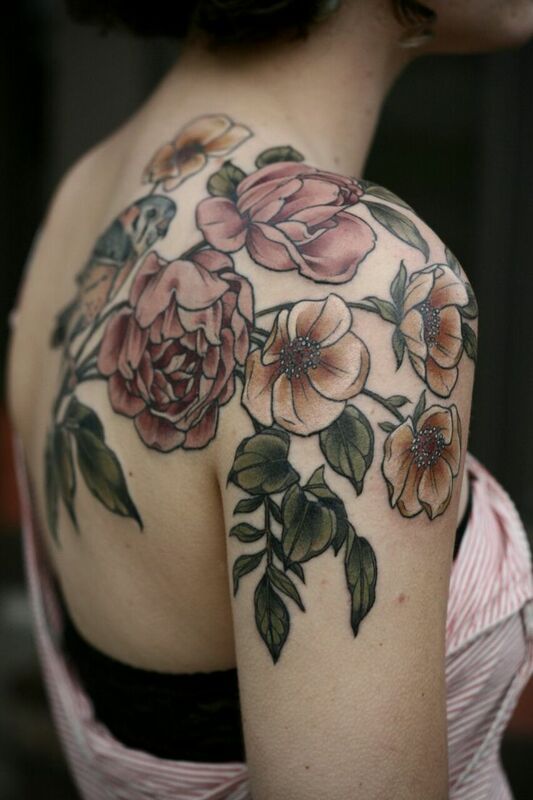 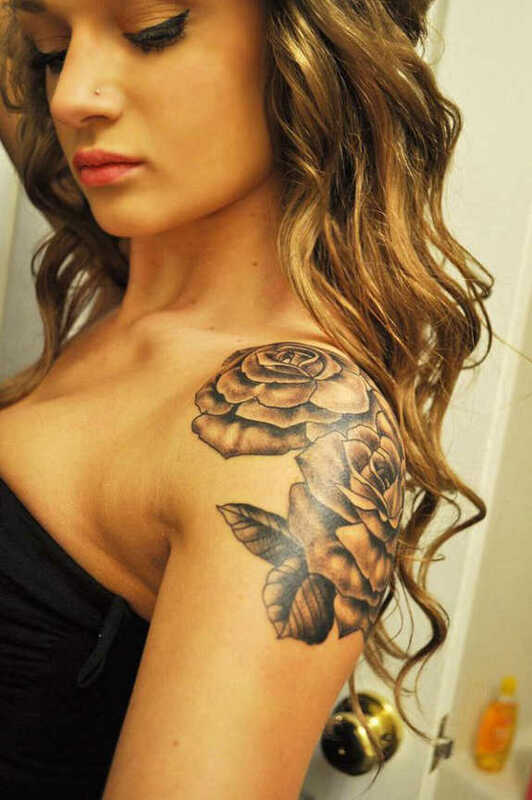 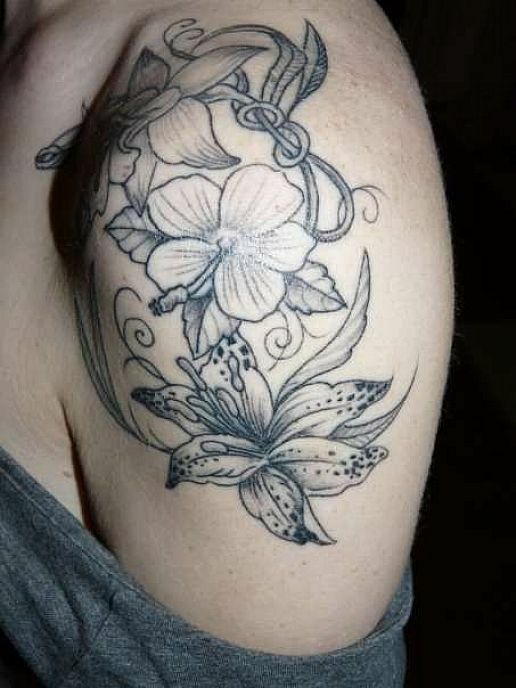 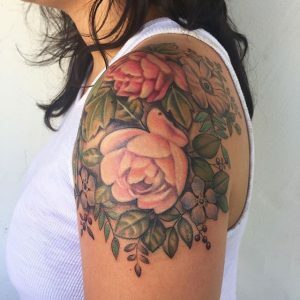 Flower tattoos on shoulder add a feminine touch to a woman’s image. 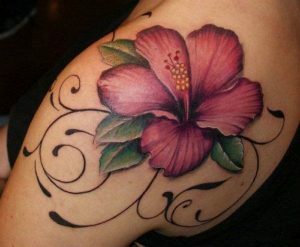 Flowers itself is feminine and when you adorn your shoulder with it you end up looking more feminine and gorgeous. 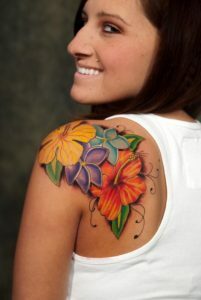 The tattoos exhibit such grand display that every tattoo loving women will go crazy to wear it. 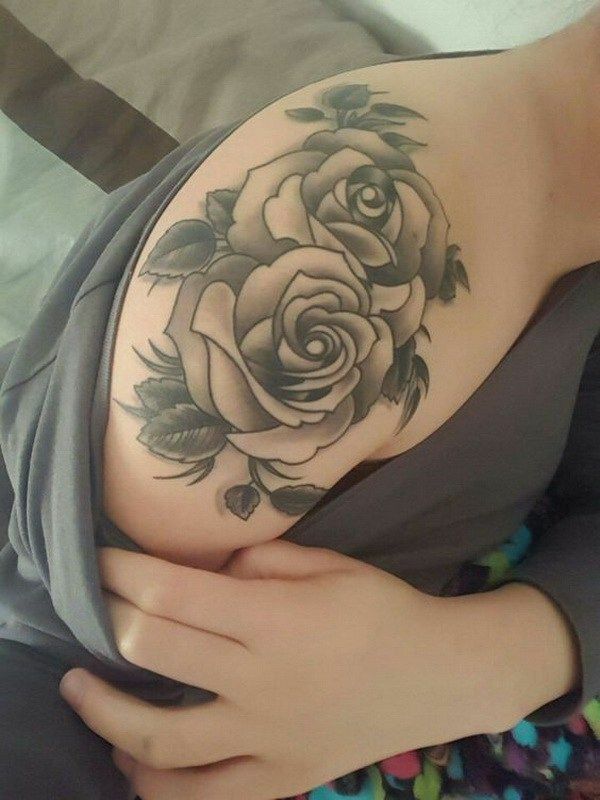 The tattoos match up with your costumes as well. 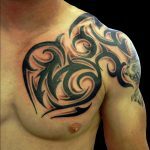 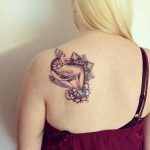 The tattoos are not only stylish but, also look elegant and graceful. 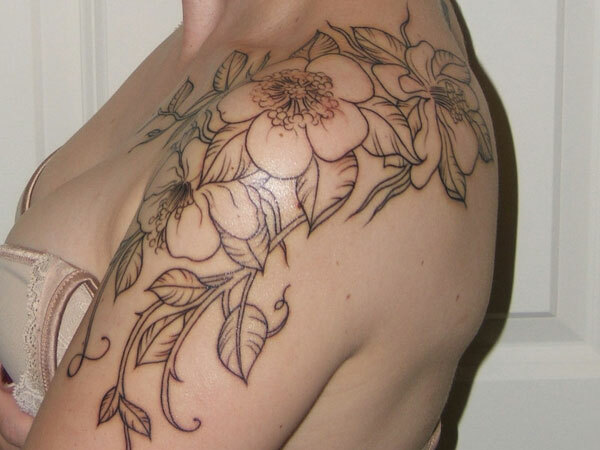 The tattoos are moderately large and comprise of aristocratic designs. 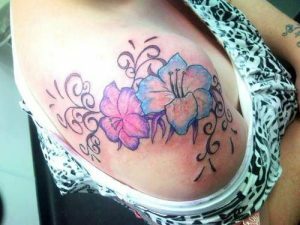 And come in a variety of colors. 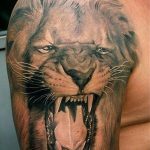 The tattoos are bound to fulfill every tattoo loving women’s dream.